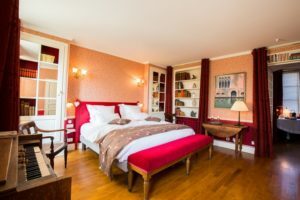 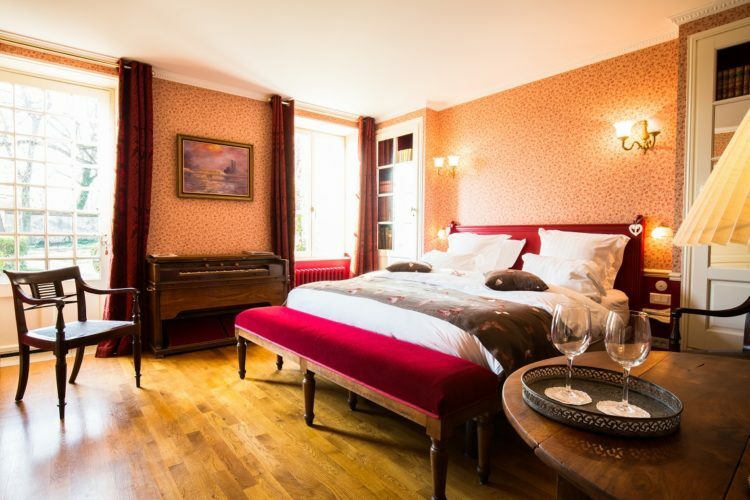 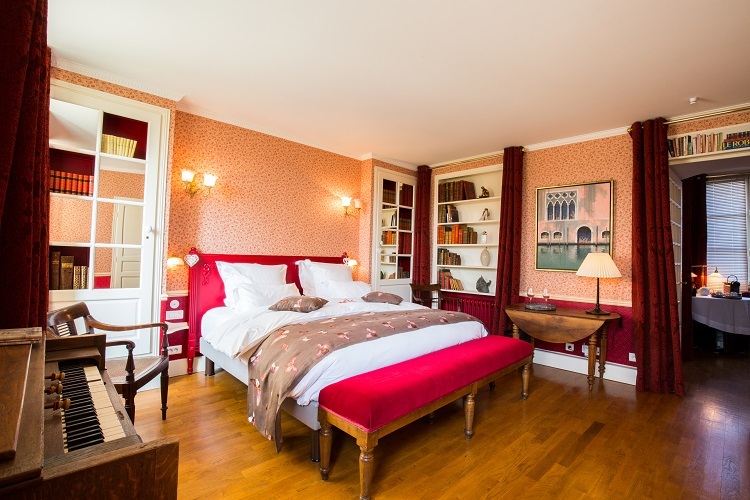 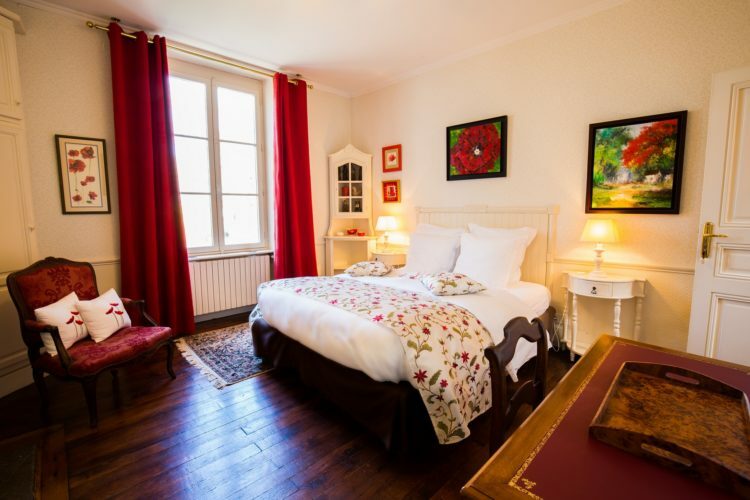 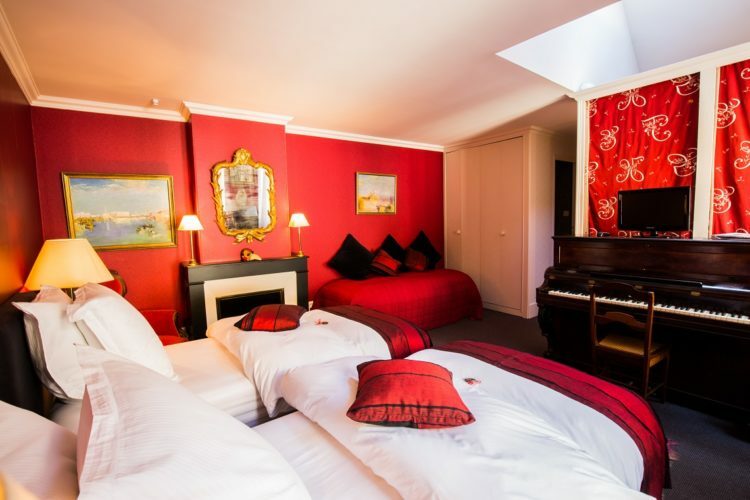 Located on the ground floor, the Chambre duClocher has a private west entrance and terrace for your romantic aperitif or a hot drink prepared in your personal space. 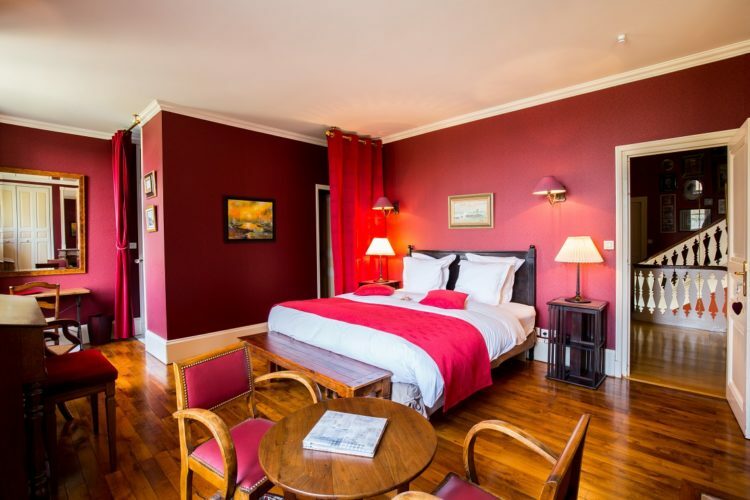 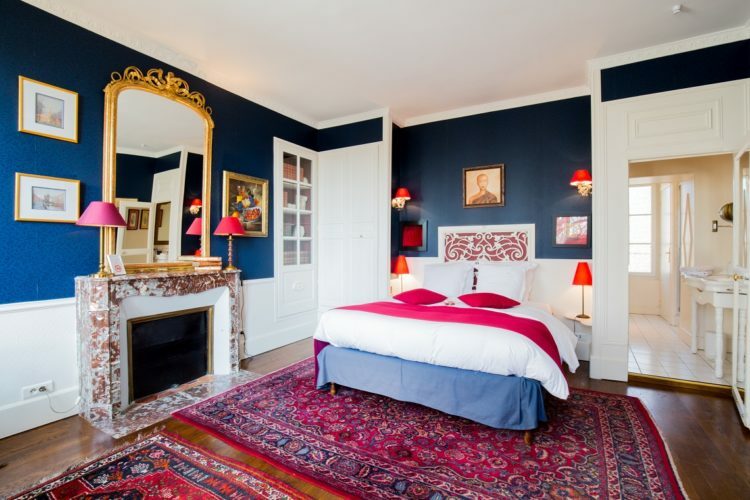 Enter this large room equipped with a king size bed of great comfort. 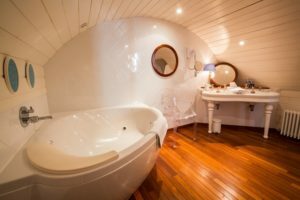 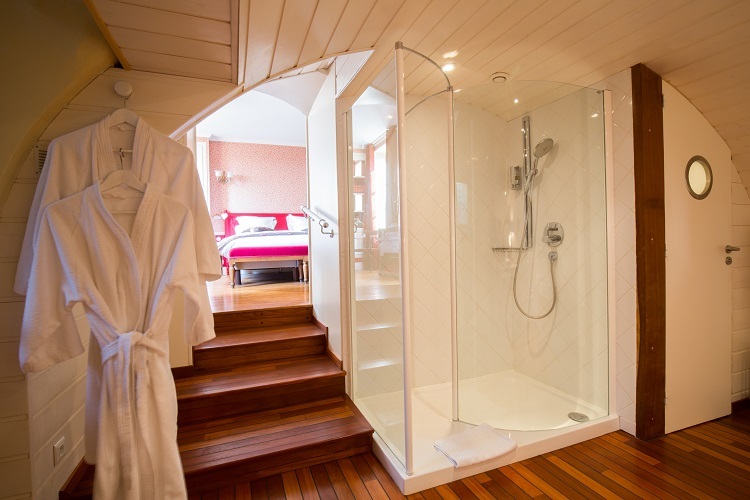 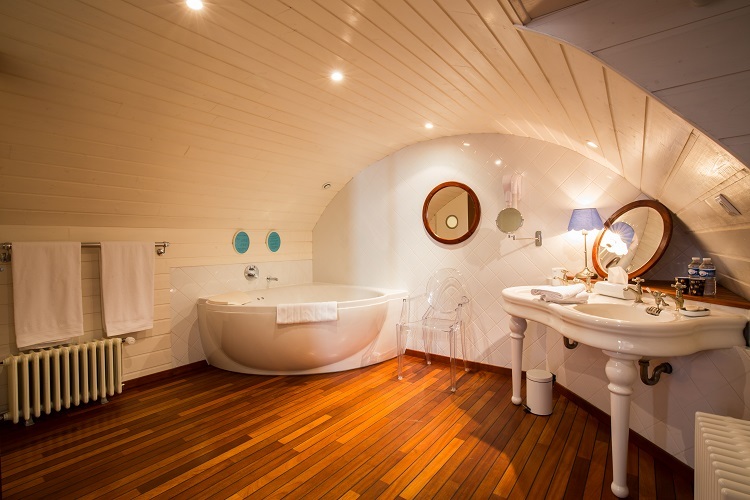 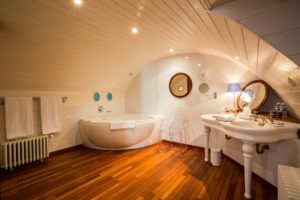 Relax in the balneotherapy bath in the bathroom created in a cellar, shower, separate WC, magnifying mirror, hair dryer, safe, wifi and TV complete the equipment you have for an unforgettable stay.